Dermal Fillers are one of the most popular treatments I perform as a Cosmetic Physician. Although I have previously posted information on this procedure I felt it was a good idea to address some of the most common questions I get asked about fillers in general. So behold - a Q and A on dermal fillers. Before we start I would just like to note that the most common question we get asked in regards to cosmetic injectables is "what is the difference between dermal fillers and wrinkle relaxers? ", which you can read more about by following the link. Dermal fillers are injectable gels that can be injected into the skin and can be used to replace lost volume in the face, contour the cheeks, enhance and augment the lips and fill lines and folds in the skin. Dermal fillers are a non-surgical option for full facial enhancement. There are many dermal fillers currently available on the market, the most common type contains a naturally occurring substance in the skin and connective tissue. What is so good about dermal fillers? The treatment is safe, well studied with minimal to no side effects and down time. The treatment is quick, relatively pain free and affordable. The treatment is not permanent and in the case of a poor result or adverse effect, can be completely reversed. Dermal fillers contain a naturally occurring substance within our own skin. They are not associated with allergic reactions. Fillers that contain H* A* come in difference densities with different degrees of ‘cross-linking’ meaning they can be used at different depths of the skin and have different results eg volume in the cheeks vs a soft superficial filler for lines and wrinkles. Will dermal fillers drastically improve or change my appearance? No. Dermal fillers will not result in you looking like you have had a surgical facelift or cause a dramatic change in your appearance. They are used to improve structure and add support to the overlying tissues of the skin, aid in restoring volume and fill areas where bone/fat loss has occurred, and enhance hydration and skin texture. As a result you will notice a noticeable difference however this will be natural and harmonious with your facial features. See some of these before and after photos below. The procedure is very straightforward and will take between 30-45 minutes, after a full facial assessment and disussion of your treatment plan. A topical numbing cream is applied to help with any discomfort and the dermal filler gel is injected into the areas of concern using a small needle. The amount of gel injected will depend on your individual concerns. The dermal filler gel contains local anaesthetic which makes the procedure relatively pain free. The longevity of dermal fillers varies depending on the type of filler and its indication. In regards to the dermal fillers used by Dr Kate we generally see results for 6-9 months for lips and perioral area and up to 12-24 months for the deeper fillers used to add volume to the cheeks. With the additional treatment with wrinkle relaxing injections, the longevity is increased even more. What should I do after a dermal filler treatment? What is so fantastic about dermal fillers is that there is such minimal downtime you can go straight back to your normal activities afterwards. No excuse not to go to work! There are some key dermal filler after care tips after treatment which are aimed at reducing any side effects and ensuring the best results. These include applying a cool compress or ice to the area to reduce swelling/bruising/discomfort, gentle massage and avoidance of face down massages, or strenuous exercise for the first 24hours. The cost of dermal fillers varies depending on the type of dermal filler used. Some fillers are firmer and used for structure and support, others are softer and better for more superficial injection into the skin. As a result the price does vary. The price is generally per 1ml of dermal filler (the amount in one syringe) and discounts are often given for multiple syringes used. Price can be from $550-$750 per ml of filler making it an affordable and effective procedure. Please see our pricing located here. What are the risks and possible side effects of dermal filler treatment? 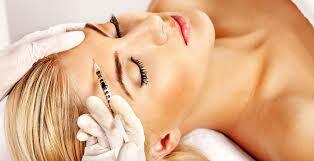 Dermal fillers are a safe and effective treatment and have been used for over 20 years in cosmetic medicine. There are minimal side effects which include swelling, redness, bruising and sometimes an irregularity of the filler. Rare complications include allergic reactions, the formation of ganulomas, secondary bacterial or viral infections (for example reactivation of the cold sore virus) damage to vascular structures and ischaemia. 1) Please do your research (reading my blog is a good start) and be aware of untrained injectors and the use of unregulated products. Ask questions and ensure your injector is trained and certified by a reputable organisation. 2) If you are concerned, always ask for a second option or take advantage of any offered cooling off time. You should not feel pressured to have the procedure performed on the day of your initial consultation. 3) Don’t wear makeup to your consultation or treatment. Not only is it difficult to remove (and adds to the possible risk of infection) it also obscures the contours and integrity of your skin making a full facial assessment difficult. 4) I will mention this again and again – be cautious of cheap deals especially ‘scoupon/groupon’ deals that sound too good to be true, they usually are. See my blog post about avoiding the discount trap for more info about this topic. High quality service and results should always come before cost. Thankyou for reading and please let me know if you have any more questions about dermal fillers.